“In August 2015, just a few months after running the Manchester Marathon, I was diagnosed with an aggressive form of non-hodgkins lymphoma cancer at the age of just 32. It was aggressive and I was in a bad way, but thankfully due to a heavy chemotherapy and radiation treatment schedule I got the all clear in 2016, unfortunately 9 months later I relapsed. After further chemotherapy, full body radiation, and a bone marrow transplant I eventually got the all clear again in June 2017. Needless to say it was an incredibly difficult and scary experience. 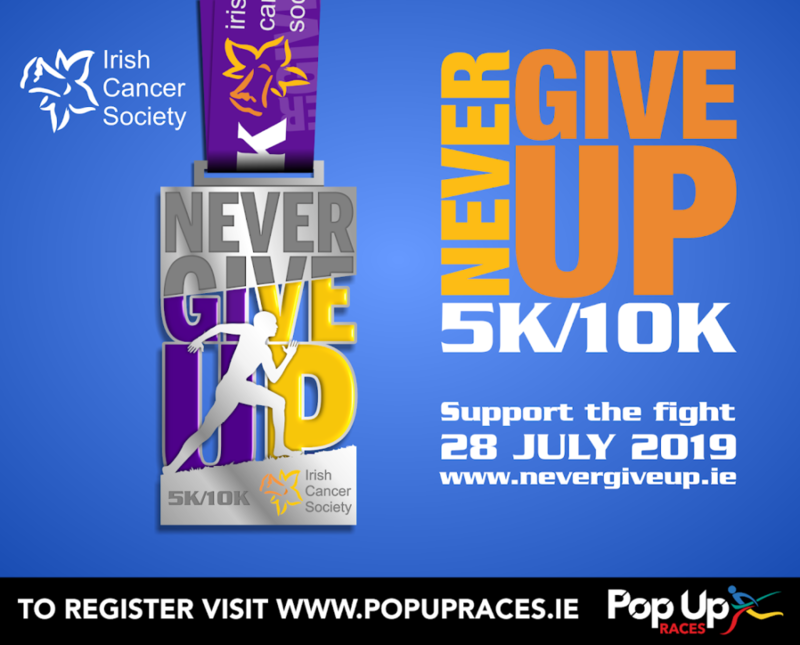 On the day registration will be available from 09.30am on Sunday 28th July 2019 at St Mogue’s Community Centre, Inch, Gorey, Co Wexford. There will be a start line briefing at 11.15am with the race start time at 11.30am sharp. Ample parking will be available for everyone and light refreshments will be provided after the race. For anyone wishing to support this event but unavailable on the day, choose our Virtual Run Option below – just send us through details of your completed run (picture of watch / phone) and we’ll send you on a medal for supporting this cause. Early Bird Rates Expire on 30th April, so don’t delay, register now! Trophies for 1st, 2nd and 3rd male and female in both races. For an individual who raises €70 or more on a sponsorship card, entry to either race is free (includes medals). For a family (2 adults + 2 children) who raise a combined €100 or more on a sponsorship card, entry to either race is free (includes medals).